A multi-faceted, ready-to-use stain and spot remover for carpets, rugs and upholstery. Has a pleasant pine fragrance. Contains no cationic ingredients which void stain-resist carpet warranties. Removes nearly all stains and spots, including coffee, grease, grime, ink and animal accidents. Contains no mineral spirits, chlorinated solvents or oils. Cleans, brightens and deodorizes in one step. 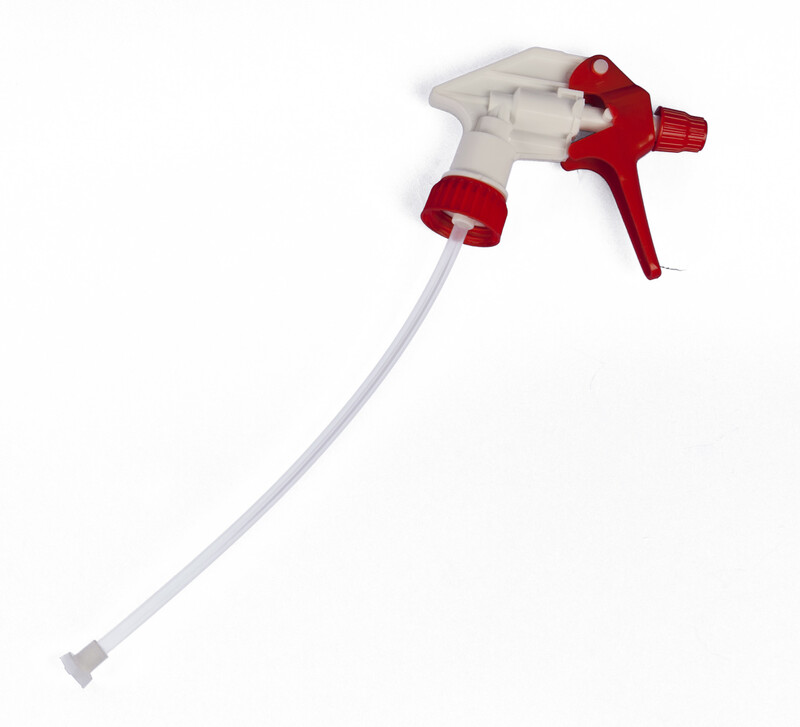 Removes oil- and water-based spills, spots and stains from carpets and upholstery fabrics. 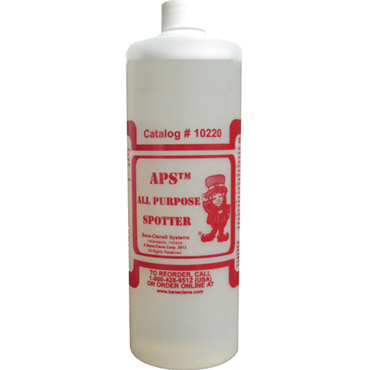 A multi-faceted, ready-to-use stain and spot remover for carpets, rugs and upholstery, APS All Purpose Spotter removes nearly all stains and spots, including coffee, grease, grime, ink and animal accidents. 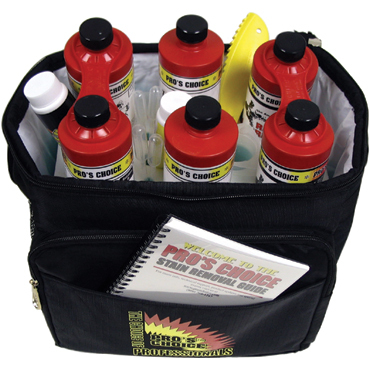 APS All Purpose Spotter is nonflammable, contains no mineral spirits and emits no toxic or irritating fumes. It contains multiple solvents, a water-soluble deodorizer and a detergent system which cleans, brightens and deodorizes in one step. Has a pleasant pine fragrance. Always rinse thoroughly after use. 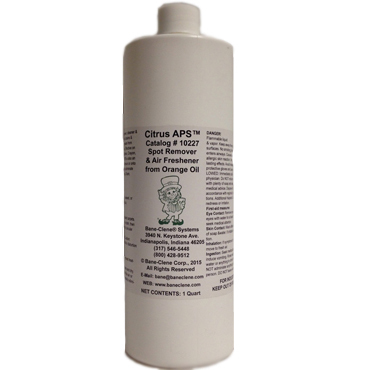 APS All Purpose Spotter contains no cationic ingredients, which void stain-resistant nylon warranties. Appearance: Clear, nearly colorless thin liquid. Approved Use: Safe for stain-resistant nylon carpet. Pre-test in an inconspicuous location for dye stability and upholstery shrinkage. Always ask what has already been used on the spot or stain. UNLESS soot or other insoluble powder, simply clean first. Don’t do anything to void warranty. Remove excess debris with spoon, spatula or towel. Apply APS to spot and work it into spot with a tamping brush, bone scraper or Carpet Shark. BLOT, don’t rub - rubbing may distort the fiber tips. Work from edges to center to keep from spreading the spot. Blot using clean, white, absorbent towels. Brush fabric to align fibers. Avoid doing anything to make the spot or stain YOUR problem by making it bigger or making it a different color or by causing any damage! If spot cleaning upholstery, clean entire cushion, not just a spot. If you are removing a spot on a zippered cushion, place a towel under fabric under the area while spotting and remove later - to reduce wicking. Always rinse thoroughly after use. If a large or heavy spill, apply Stain Blotter to keep the stain from wicking back up and reappearing. If wool, cotton or other natural fiber, apply Brown Out™ after spotting and cleaning to prevent browning. Dry as fast as possible. CAUTION: Some medicines such as acne medicine contain oxidants such as benzoyl peroxide. These medicines will bleach the carpet dye when spotted with any water-based spotter such as APS. USE SPARINGLY.